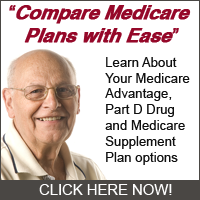 Do You Qualify for “Premium-Free Part A” Medicare Coverage? Paying for healthcare or Medicare coverage is expensive enough and you don’t want to be paying for it when you don’t have to. That’s why it is important to know if you qualify for what is called “Premium-Free Part A” Medicare coverage. There are a few instances in which this applies and you can find out if you qualify below. • If you or your spouse paid Medicare taxes while working you should not have to pay for Medicare Part A premium. • If you are already getting retirement benefits from Social Security or the RRB you can get premium-free Part A when you turn 65 if you are eligible to get Social Security or Railroad benefits but haven’t filed for them or if you or your spouse had Medicare-covered government employment. • Those who are under 65 and qualify for premium-free Medicare Part A would be those that have received Social Security or RRB benefits for 24 months and those that have an End-Stage Renal Disease and meet certain other requirements. If you do not meet these requirements you will have to pay the premium for Medicare Part A and you will have to also carry Medicare Part B, which is a separate premium altogether.